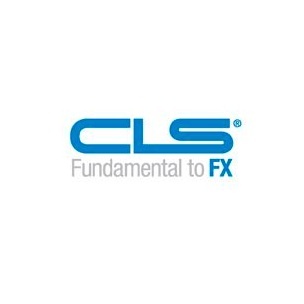 CLS Bank won itself a victory of sorts with the verdict and subsequent announcement from the US Supreme Court, which ruled in favor of the FX settler that the abstract idea of intermediated settlement is not deemed patent eligible, thus ending a lengthy legal battle. The official case, tapped Alice Corp vs. CLS Bank International, encompassed all three levels of the US federal court system, i.e. District Court, Court of Appeals, and finally the Supreme Court. The primary grievance stemmed over claims about computer-implemented services for financial transactions and their categorization of abstract ideas, which was contested under patent protection. However, following a lengthy legal strife, the Supreme Court ruled in favor of CLS Bank that the settlement is not deemed patent eligible under Section 101 of the Patent Act. “In our view, the Supreme Court correctly decided this case, and we are very pleased with the decision. Alice’s attempt to patent the abstract idea of financial intermediation was rightfully rejected by the Supreme Court. Financial intermediation is critical to the safe and effective operation of all global markets, and we are proud to have led the fight against a very real risk to the economy and the financial ecosystem,” added Alan Marquard, Chief Legal Officer, CLS Bank in an accompanying statement. The verdict is not only a victory for CLS Bank, an organization that has built its reputation on settling Forex transactions, but also companies that were eying software protection under patent laws. What exactly was attempted to be patented? Was it a specific process? I’m a little lost on that. Were there earlier articles that explained this?